The 2GIG DBELL1 doorbell works seamlessly with the 2GIG control panel and Alarm.com. 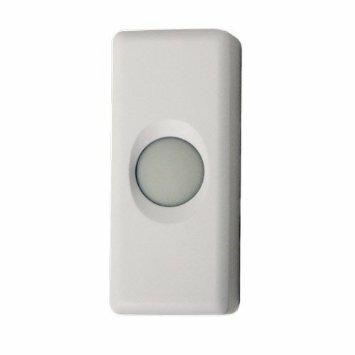 This doorbell features a 345MHz radio frequency that effortlessly connects to the 2GIG control panel. From this panel, your customer can get text alerts wherever they are from Alarm.com every time the doorbell is pressed. Hanging the 2GIG wireless doorbell is easy as 1, 2, 3. With only a screw driver and a level, it takes only a matter of minutes to hang and connect to the control panel. 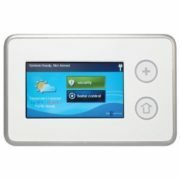 The doorbell comes with detailed, step-by-step instructions, walking you through connecting the door bell to the 2GIG control panel. How can something so simple be so advanced? The doorbell has many features including long range 345MHz signal that is able to travel 350ft over open air. It has UV-resistant plastic to protect it from the sun’s harmful rays and it alsocontains a waterproof seal to guarantee no water damage. 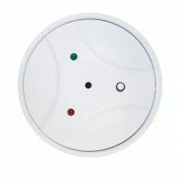 The bell has a strong and secure wireless signal that relays back to the 2GIG control pad alerting your customer there is a visitor at the door. There are 11 different chimes for a variety of rings to choose from. Also, when the doorbell rings, the 2GIG system “rules” can be set to turn on the Z-Wave enabled lighting system for customized home automation. 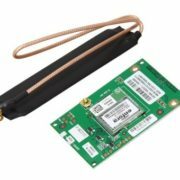 While the 2GIG products do well on their own, to be able take advantage of all of the benefits of the 2GIG system, Alarm.com is a must-have service. 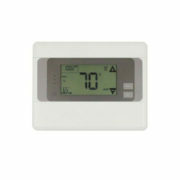 Alarm.com will allow your client to customize their home automation system to the “nth” degree. Inform your client of many more features including Smartphone controlling capabilities to lock or unlock their door from anywhere when they subscribe to Alarm.com through you. The customer must go though you to receive Alarm.com benefits. This will help you establish reoccurring monthly revenue (RMR). The 385MHz signal is rated for 350ft of open air, but that can be affected by walls and other obstructions. We advise you to place your 345MHz products as close to 100ft together as possible. This will ensure strong signal strength.